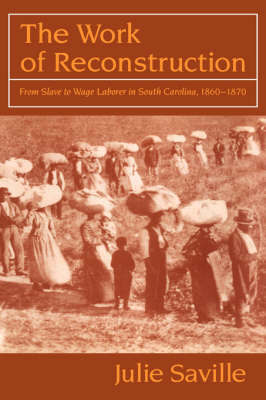 This book examines social, political, and cultural conflicts opened by the abolition of slavery and the fashioning of wage relations in the era of the American Civil War. It offers a new, close look at the origins, goals, and tactics of popular political clubs created by emancipated workers in the countryside of one of the Deep South's oldest plantation states. The Work of Reconstruction draws on a rich documentary record that allowed ex-slaves to express in their own words and behavior the aspirations and goals that underlay their efforts. Not satisfied to render freed men and women as objects of theoretical inquiry, this book vividly recovers the concrete practices and language in which ex-slaves achieved freedom and the expectations that they had of liberty.